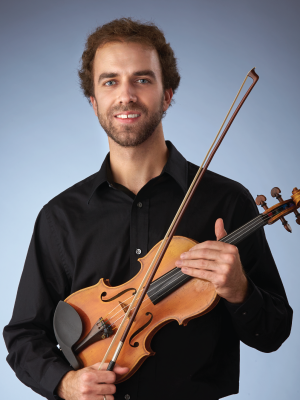 Assistant Concertmaster Peter Vickery earned a Bachelor of Music in violin performance at the Indiana University Jacobs School of Music in 2010. His major teachers are Alexander Kerr, Mimi Zweig, and Brenda Brenner. Peter previously served with the Milwaukee Symphony Orchestra and the Indianapolis Chamber Orchestra, and was concertmaster of the Terre Haute Symphony and the IU Jacob School’s University and Chamber orchestras. He enjoys chamber music, including recitals with The Vickery Three, comprised of his brother Nathan (cello, New York Philharmonic) and sister Allison (piano, University of Indianapolis).